November 11 marks the end of World War I, the “War To End All Wars,” as it turned out to be inaccurately described. Throughout the world ceremonies will take place to note the end of that conflict 100 years ago, but also to remember those who died in other wars, both those serving their countries and civilians who lost their lives or suffered through the trauma. 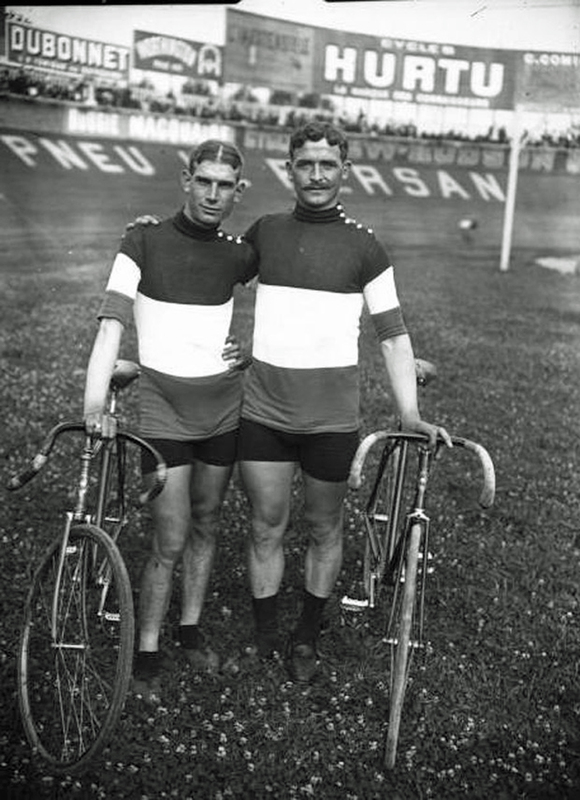 The world of cycling was not untouched by geopolitics. In July 1942, French police, acting under the German occupying forces’ orders, used the Velodrome d’Hiver as a holding ground for French Jews prior to their transport to Auschwitz. 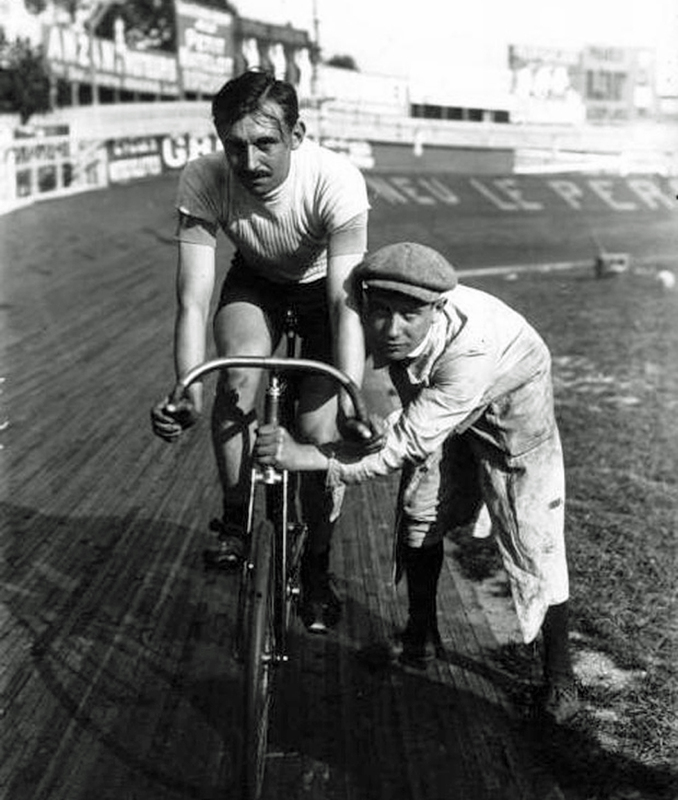 The Tour de France was taken over after World War II by publisher Émilien Amaury, who served in the Resistance and whose Amaury Sport Organization continues to run the race to this day. 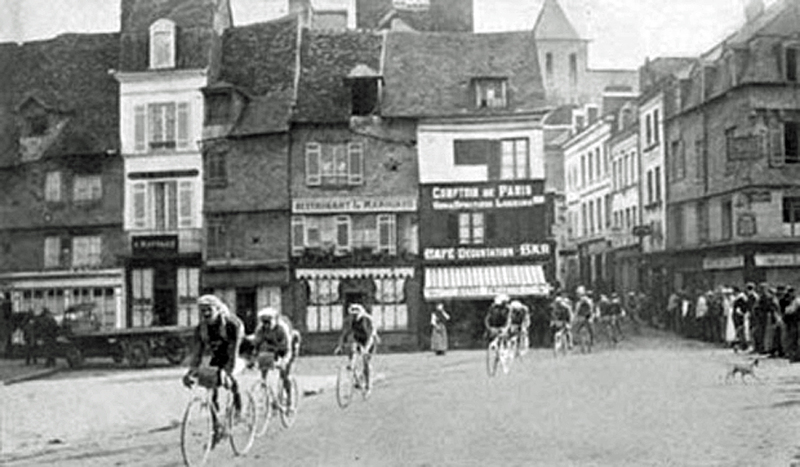 But looking back further history tells us that on Sunday, June 28, 1914, 145 cyclists rolled out of Paris for the 12th edition of the Tour de France. The race was already an established sporting event and national icon and fans look forward to the competition, which featured seven previous winners (in addition to four future winners). On the same day 1800 kms to the southeast in Sarajevo the heir-presumptive to the Austro-Hungarian throne, the Archduke Franz Ferdinand, and his wife died by the hand of an assassin. Two days after the Tour ended on July 26 back in Paris, Austro-Hungary, unsatisfied with the response to its ultimatum, launched an invasion of Serbia. The bike race to end all bike races thus had a strange coincidental overlap with what was to become the launching of the War to End All Wars. In his book, “The Shattered Peloton”, Graham Healy has provided an unusual perspective during the centenary year marking the start of World War I — what was its effect on professional bike racing? This seems like a question of laughably little consequence and the book is poorly served by its subtitle: “The Devastating Impact of World War I on the Tour de France”. The number of professional cyclists was very small and the comparative handful who died in the war (32 Tour de France participants) pale beside the huge number of casualties, totaling an estimated 17 million military and civilian deaths and 23 million wounded. In the cases of France, Germany and Austria-Hungary more than 4% of the total population perished. 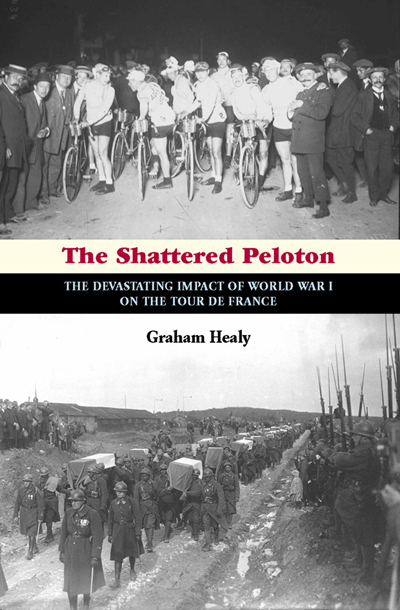 However, the book is to be recommended for telling the stories of some of those cyclists (not all of them Tour de France riders either) and their terrible experiences in battle, experiences that would have been duplicated in the thousands by soldiers from other jobs and professions and social classes. What we really see is “The Devastating Impact of World War I on Everyone”. The war devastated Europe (nicely described in the account of the first Paris-Roubaix after hostilities ended) but not really the Tour, which was restarted, admittedly with some difficulty, a mere seven months after the Armistice. 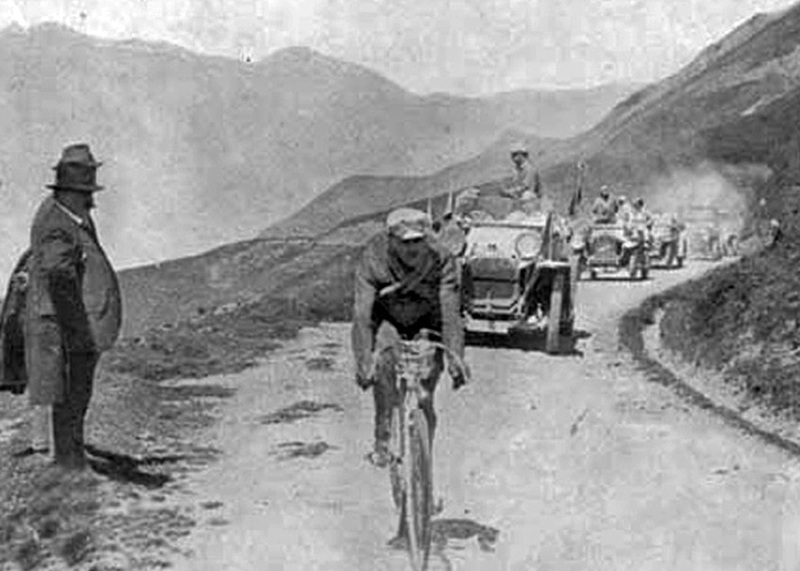 The book begins by describing that 1914 Tour in some detail and one has a good flavor of the chaotic happenings that made the race so interesting, In the end Philippe Thys of Belgium would go on to win the overall for the second time. Interesting details included the unspecified abuse apparently suffered by two Australian riders and an enthusiastic crowd so enamored of Henri Pélissier that in their enthusiasm they blocked their countryman’s way and ruined any chance of him winning. The chapter is interspersed with some diplomatic history about what was happening as political events moved forward in European capitals but these have an add-on feel, breaking the Tour narrative up. There are a number of instances in the book where the narrative takes detours unrelated to the central subject, such as the enlistment of sportsmen who were famous for other things, such as football/rugby/tennis/piano player pilot Roland Garros or boxer Georges Carpentier. The founder of the Tour de France, Henri Desgrange, wrote an editorial (in red ink!) in l’Auto calling, in what to us is astonishingly jingoistic language, for Frenchmen to enlist in the war to defeat “the evil imbeciles” from Germany. Desgrange himself enlisted in 1917, at age 50, and even spent some time at the front. It is well-known that three Tour de France winners died in the war. The popular 1909 victor François Faber of Luxembourg joined the Foreign Legion and died in the Battle of Artois in May 1915; Octave Lapize, winner in 1910, died in aerial combat in July 1917 and in December of the same year two-time winner (1907/08) Lucien Petit-Breton, who was serving as a military driver, was killed in a car crash. Each of these riders receives a full chapter treatment, divided into an account of their cycling history (which in all cases is quite well-known) and their wartime exploits, unfamiliar to most cycling fans. Even more interesting are the accounts of the riders who rode in the Tour and did not place particularly highly or even finish. One rider named Emile Engel, a friend of Faber, was banned from the 1914 Tour by Desgrange, who by all accounts was a thorough martinet, for arguing with a commissionaire and was to die at the First Battle of the Marne in September that year. Many of these riders are obscure but their fates nevertheless received compassionate treatment from the author. It is sad to read of so many of these brave young men being chewed up by the great war machine in numbers that would seem incredible. Some of the stories amply illustrate the confusion and stupidity of events. Paul Deman, the first Tour of Flanders winner and three-time Tour de France participant, carried messages for the Belgians by bicycle during the war and was caught by the Germans. Sentenced to die, the execution was not carried out as the Armistice intervened. British soldiers took over and unable to tell the difference between Flemish and German imagined Deman to be a German spy and planned his execution before a timely letter from Belgian authorities saved his life. 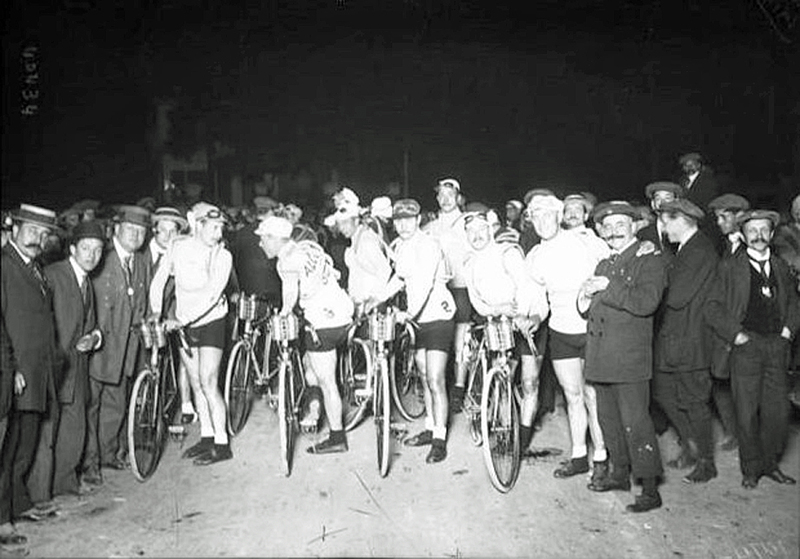 On June 29, 1919, a day after the signing of the Treaty of Versailles and five years and a day after the start of the previous race, the first post-war Tour de France took place. 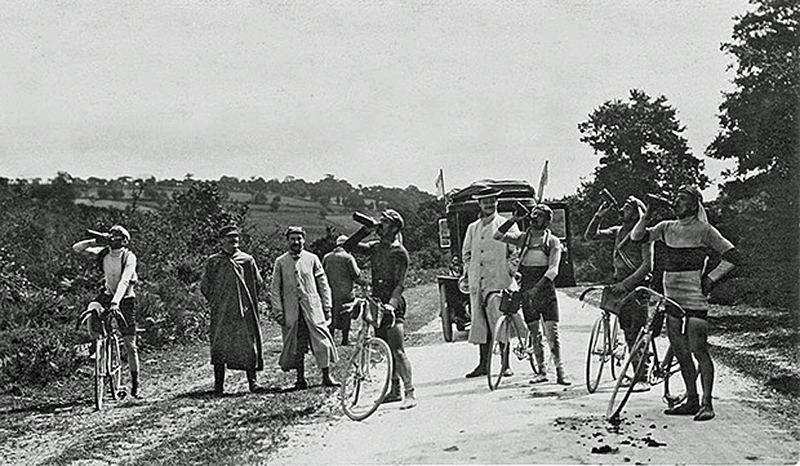 The author writes:” The effect that the First World War had on professional cycling was immense.” But the fact that it started again so soon after hostilities and that a new generation of riders had appeared—many of those who died, such as Fabre, Lapize and Petit-Breton were already no longer competitive when the war began—belies this statement. This is not a book for reading about the origins of World War I in detail (“The Sleepwalkers,” a blockbuster by historian Christopher Clark is that book) and some of the general research is a bit doubtful (Roland Garros, for example, is wrongly described as the developer of tractor propellers for fighter aircraft). But as a view of the war taken from an unusual angle and focusing on the lives of those involved moving from being suddenly transformed from celebrated sports figures to common soldiers (no officers here) the book Is well worth reading in this year when we can expect a wave of Great War-themed publications. On that early Sunday morning in 1914 in Paris the world was a different place. The Tour de France may have been merely postponed for four years but the real and terrible effect of the war on a human scale is told here with pity and with affection. Feature photo origin unknown, all others from the book.